November 17, 2018 – Chrissy Teigen visiting the Frost Science Museum in Miami. Click on the thumbnails below to see the entire set of pictures. Take a look to all the latest Instagram posts added by Chrissy. Be sure to follow Chrissy Teigen on Instagram and Twitter! Chrissy Archive is our online photogallery that contains more than 10.000, most of them in high resolution. Feel free to browse through to all the categories and visit our images archive daily to view all the latest photos of Chrissy. This is a list of other premium fansites which we support. They are worth visiting. If you want to be part of them, don’t hesitate to contact us. – Cravings by Chrissy Teigen is a collection of cooking and entertaining staples for the home chef who loves making delicious food. If you love to stay in the kitchen, it’s time to get all these modern cooking tools. – Cravings: Hungry For More is Chrissy’s second cookbook. With the help of Adeena Sussman and her mom Vilailuck, the brand new book is full of new recipes for quick-as-a-snap and delicious meals. And it will make you hungry for more. – Revolve team up with Chrissy Teigen to create a brand new exclusive clothing collection. The collaboration is perfect for the modern working woman who likes to rock day-to-night looks. – The first Chrissy’s cookbook written by herself, Adeena Sussman and her mom Vilailuck with tons of tips and delicious recipes. The book became a New York Times Bestseller and won a Goodreads Choice Award in 2016. The book was released on February 23, 2016. – Lip Sync Battle is an american musical reality competition television series hosted by rapper LL Cool J and Chrissy Teigen, born on April 02, 2015. The show is based on an idea by Stephen Merchant and John Krasinski, in which celebrities battle each other with lip sync performances. – Chrissy has collaborated again with Becca Cosmetics to create a new make up collection. All the products of the cosmetic line are perfect for give you an endless summer glow, all year round. 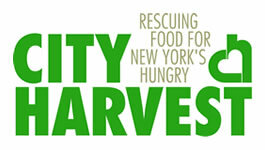 Founded in 1982, City Harvest is the world’s first food rescue nonprofit organization. It operates in New York City through food rescue, distribution and education. Since 1982, City Harvest has rescued more than 500 million pounds of food. Chrissy Teigen supports this charity. If you want to do the same, please make a donation on their official website. This website is best viewed in a resolution of 1024 or higher, 32 bit color, in Google Chrome or Mozilla Firefox. – ChrissyTeigen.org is a non-profit Chrissy Teigen fansite. We don’t know Chrissy, her manager or any person related to her. All written content and graphics are copyright to us unless otherwise stated. This site was created purely for entertainment purposes. Any pictures and media are copyright to their rightful owners. No copyright infringement is intended. If you have any issues with the published material please contact the administrator directly to be credited or have the item removed from this fansite. All rights reserved, 2016/2019.